The Union Public Service Commission (UPSC) is known to conduct the toughest civil examinations in the country. Whether you want to become an IAS officer or an IFS officer, you need to clear the UPSC examinations for this. Our UPSC coaching in Dadar prepares students for the different examinations conducted by the UPSC board. Both the Group A and Group B positions are filled by the government through UPSC examinations only. A rigorous selection process is designed so that only the deserving candidates can make way to the last round. Depending on the examination you are appearing for, the exam pattern, marking scheme, selection process, and other details will vary. You can visit our coaching classes for UPSC in Dadar, Mumbai for a consultation and then enroll in the relevant course. Our faculty members are highly experienced and they leave no stone unturned to prepare our students for the UPSC examination. Moreover, apart from the written examination we also prepare you for the interview part, so you can always rely on us. a person of Indian origin who has migrated from Pakistan, Myanmar, Sri Lanka, Kenya, Uganda, Tanzania, Zambia, Malawi, Zaire, Ethiopia or Vietnam with the intention of permanently settling in India. A degree from a Central, State or Deemed University. A degree received through correspondence or distance education. A degree from an open university. A qualification recognized by the Government of India as being equivalent to one of the above. Unlike the other similar institutes, we give attention to individual students so that they are well-prepared to appear for the examination. Following is a glimpse of what we offer our students. If you want to get detailed information on our offered courses, then visit our centre today. 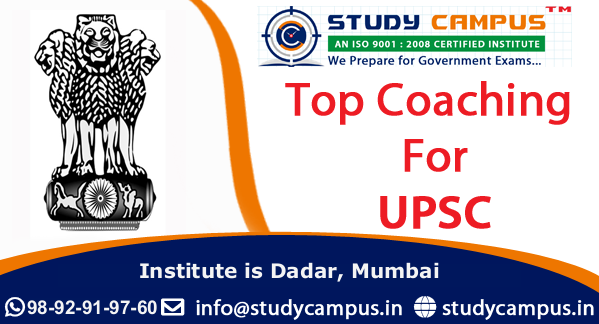 Join Best UPSC Coaching Classes in Dadar (East/West), Mumbai.